Mikael Sjoberg/Ombrello / Getty ImagesZlatan Ibrahimovic, playing for Sweden. Manchester United is still hopeful Swedish superstar Zlatan Ibrahimovic will join the team, but he could miss the first two games of the season because of Sweden’s involvement in the Rio Olympics, according to Sky Sports. The 2016 Games run from August 5 – 22, which overlaps with United’s first two matches on the 13th and 20th respectively. 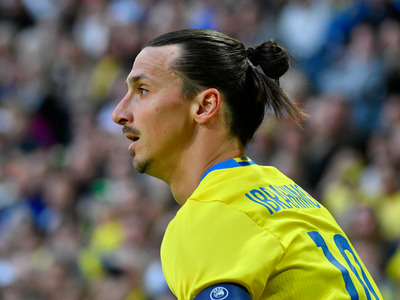 Ibrahimovic has been included in Sweden’s 35-man Olympic squad, which will be cut down the 22 when it goes to Rio. Sweden will face Nigeria, Colombia and Japan in the group stages. According to Swedish head coach Hakan Ericson, there “is still hope” that 34-year-old Ibrahimovic could make the final Olympics selection, which usually favours younger players to give them international experience. Sweden’s fixtures have already disrupted Manchester United’s plans for signing Ibrahimovic. United has reportedly agreed personal terms with the striker, but an arranged medical had to be postponed thanks to his involvement in the European Championships. News also recently emerged that Bayern Munich manager Carlo Ancelotti wants to sign Ibrahimovic to replace the club’s own forward Robert Lewandowski, who may be moving to Real Madrid. But United’s new manager Jose Mourinho seems set on the Swede. He has been on a spending spree since becoming manager of United last month, who would compliment his vision of a new team along with the confirmed signing of Villarreal defender Eric Bailly for £30 million, and the likely signing of Italian star Marco Verratti for a record €100 million (£79.5 million). Despite the Olympics news, Ibrahimovic may be happy to get back to club football as soon as possible. Sweden has not had the best start to Euro 2016, drawing 1-1 with the Republic of Ireland in its first game only thanks to an own goal Ciaran Clark, who headed a cross by Ibrahimovic into the Republic’s own net. Sweden is back in action against Italy on Friday.